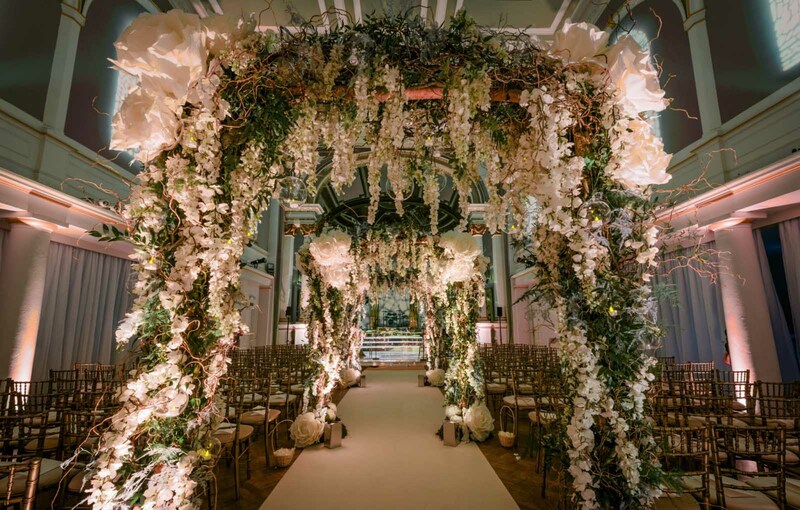 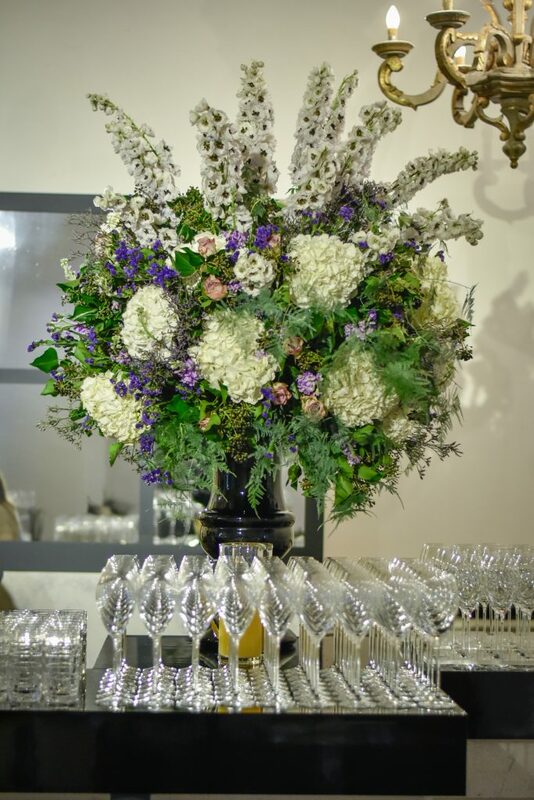 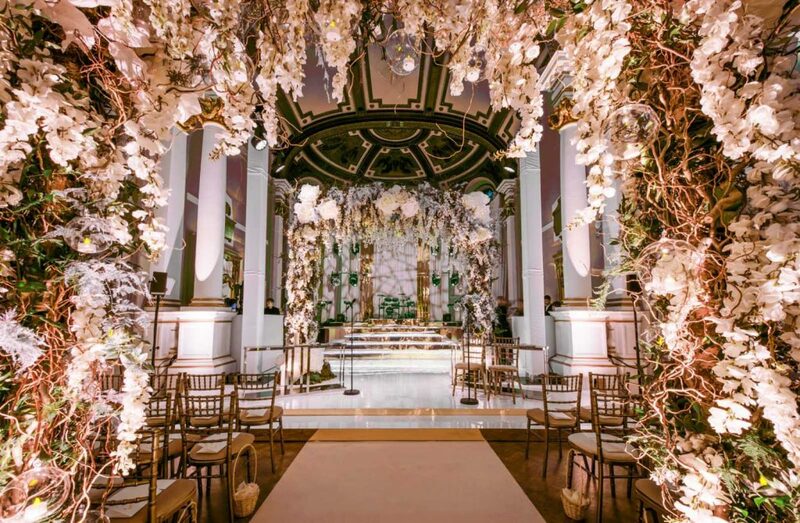 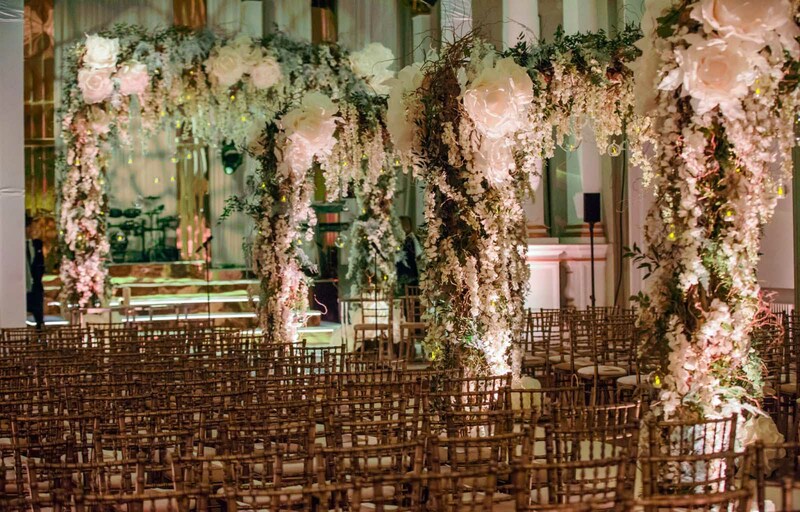 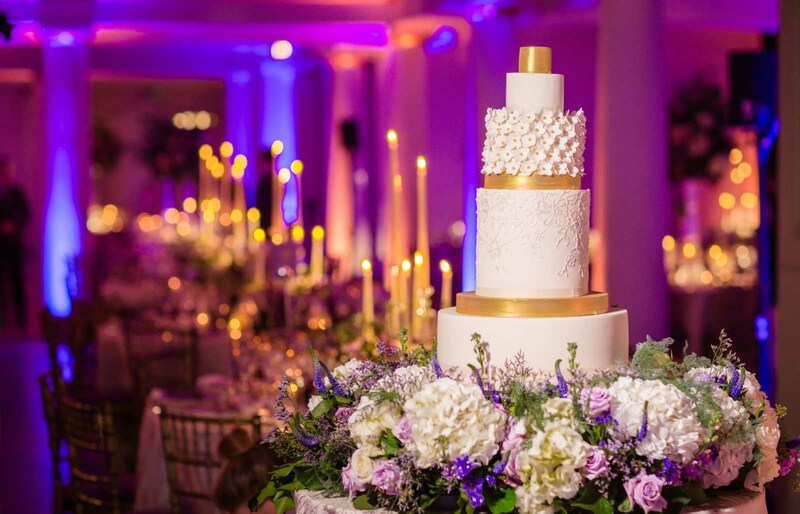 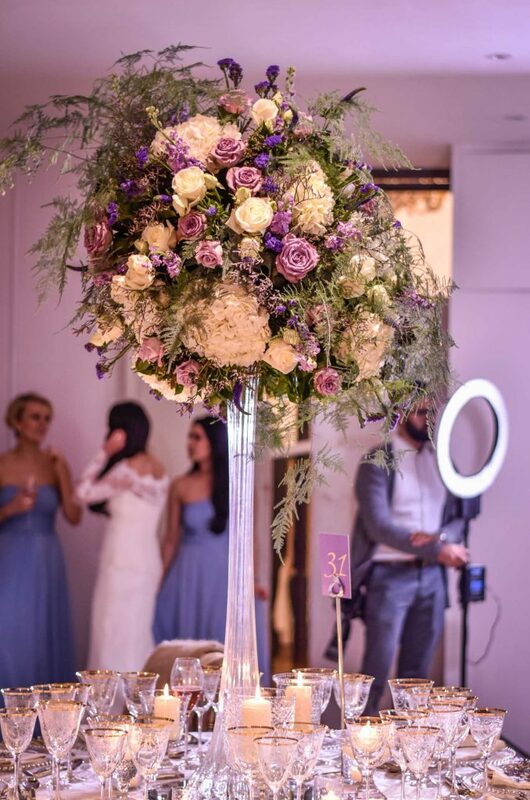 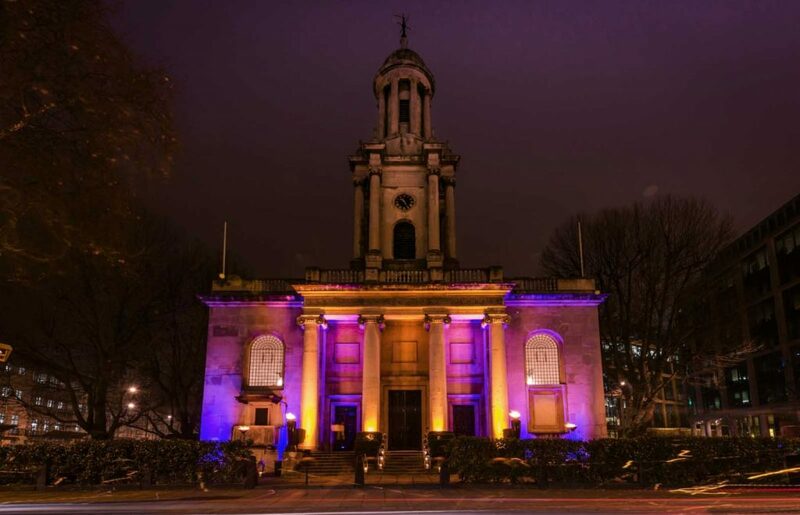 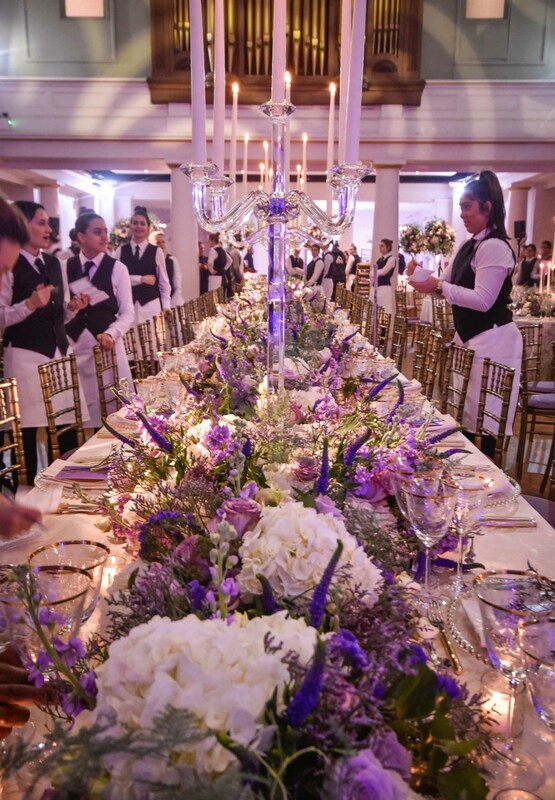 One of our most spectacular weddings was held at One Marylebone during the winter months with a brief that simply said ‘Wow factor’. 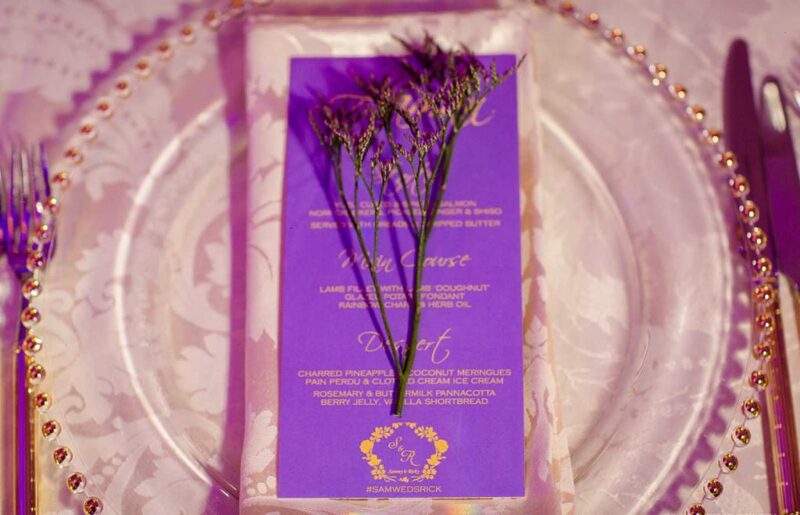 This visionary couple wanted something that would leave lasting memories for them and their guests and create an impact from start to finish. 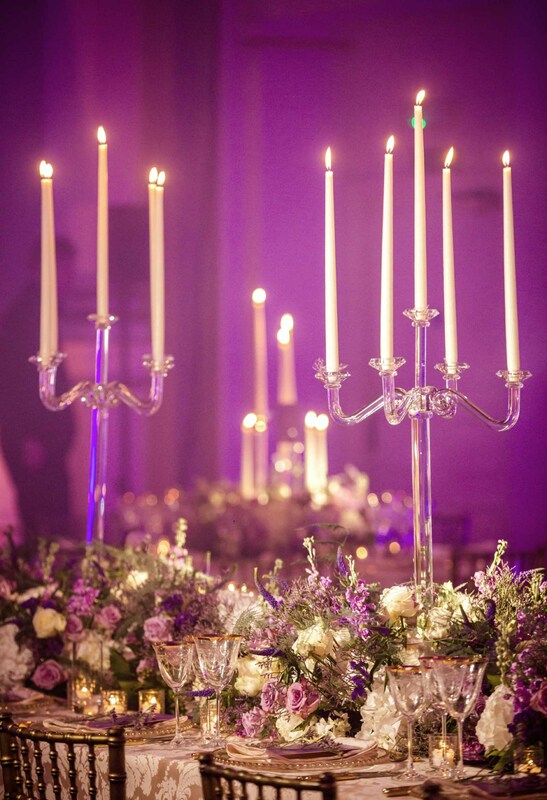 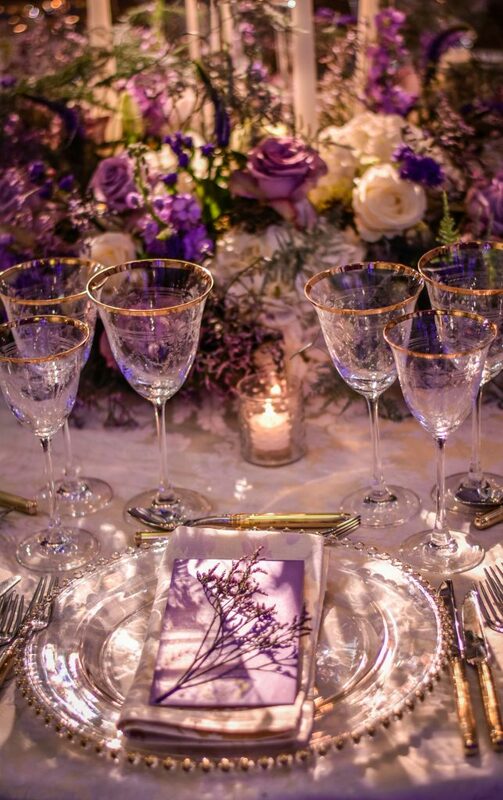 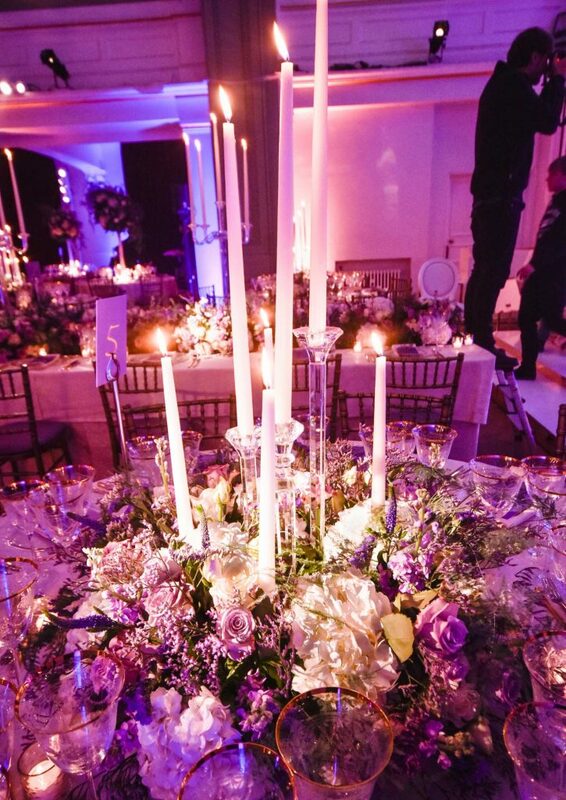 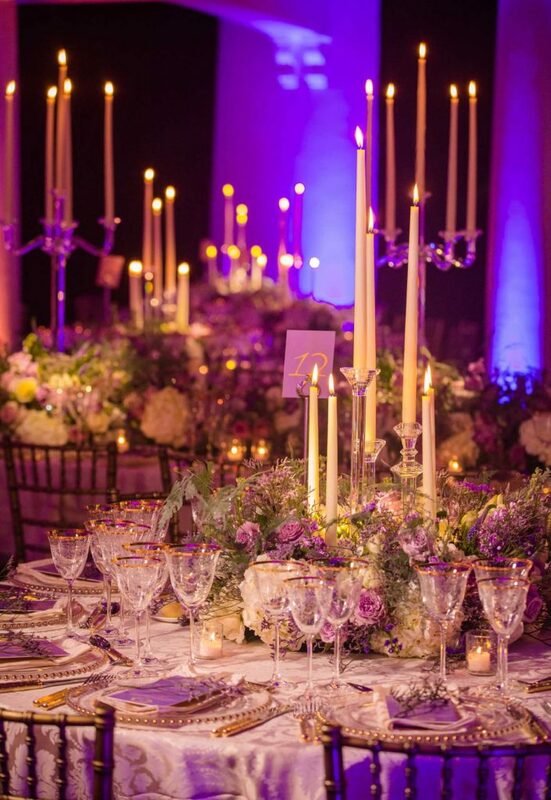 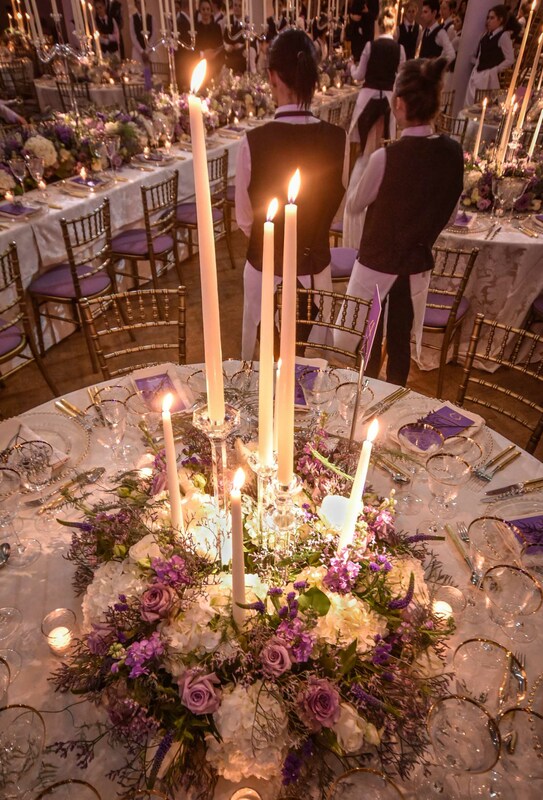 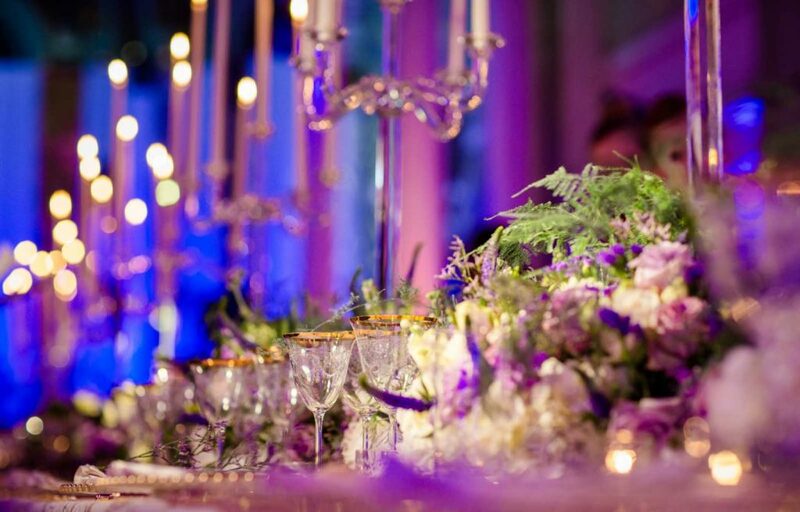 From the five magnificent arches of contorted willow, dripping white wisteria and globe terrariums that shaped the aisle to the 10 metre top table of crystal candelabra on a bed of purple and white roses, white hydrangea and mixed veronica, providing an opulent display to rival the most royal banquet, this wedding experience was like no other. 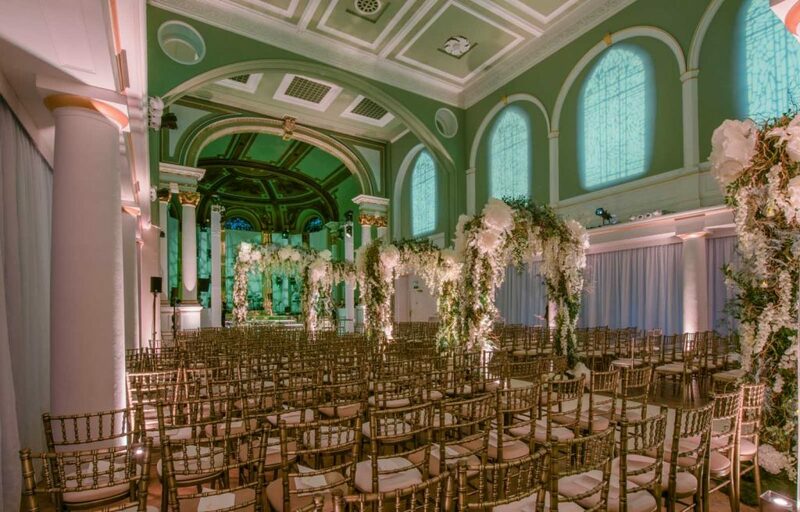 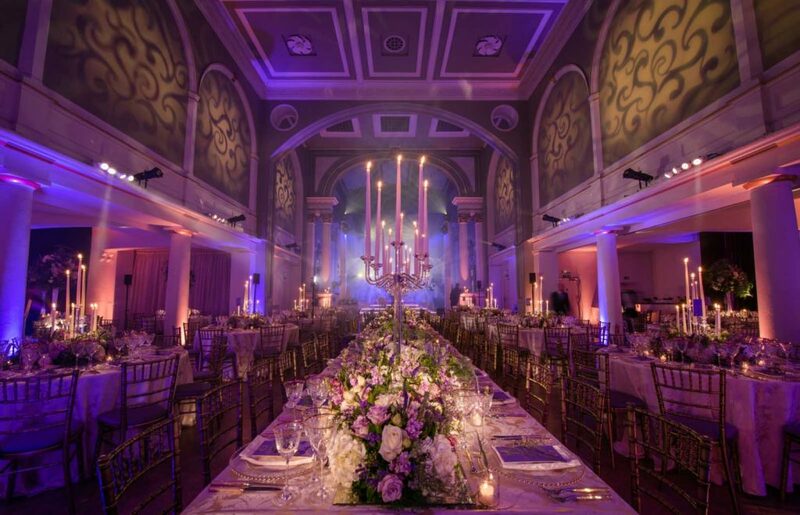 What made this wedding even more remarkable was the 90 minute transition of Soane hall from a grand ceremony room to a wedding breakfast perfect for over 300 people. 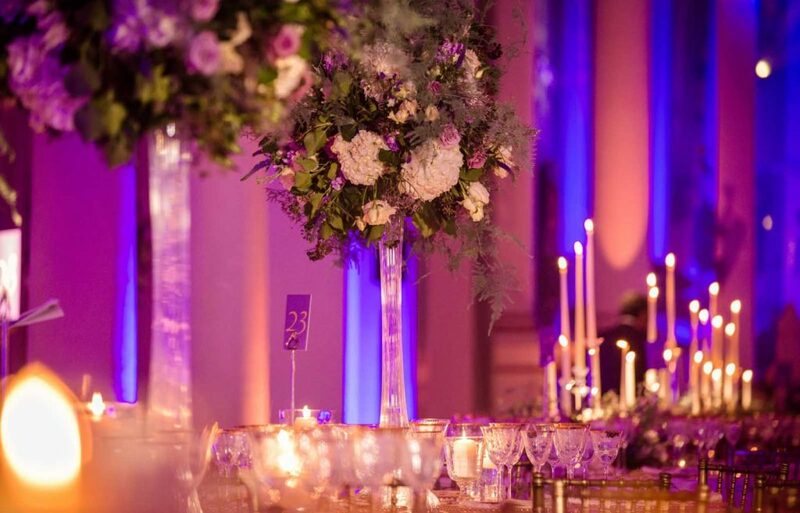 Our fastest turnaround to date and a truly glorious wedding with a touch of elegant romance.